Does Lashley have enough confidence to boost him to the top? 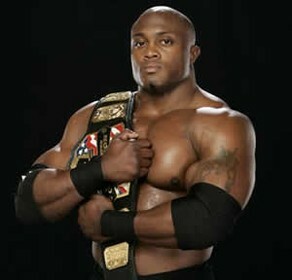 Bobby Lashley is taking a step ahead. After making himself known on mixed martial arts, Lashley is seeing himself on heavyweight title early on 2011. The fighter with a 5-0 battle will face Chad Griggs on August 21 in Strikeforce: Houston. He has spent the months of training in San Jose, California at American Kickboxing Academy. He said he’s bolstered from his sessions with fellow UFC contender Cain velasquez and Strikeforce standout Daniel Cornier. But Lashley needs to be in atleast three wins before he gets the title since the heavyweight title is pretty heavy on the competition. Champions from the organizations were Alistair Overeem, Russian La legend Fedor Emelianeko and Brazilians Antonio “Bigfoot” Silva and Fabricio Werdum, it also includes Shane Del Rosario, Lavar Johnson and many others. Strikeforce CEO Scott Coker is matching a fight for Lashley against WWE Superstar Dave Batista. That is, if they are already final with the deal for his MMA debut. While that would put Lashley’s career on odds, Coker still thinks twice. Lashley was full of confidence that the test would be passed. He shared insights on his future.